Southwestern American literature; Australian literature and film; American literature. Don Graham’s research interests include Southwestern American Literature/ Film, Nineteenth & Twentieth Century American Literature/Culture, and Australian Literature. His publications include No Name on the Bullet: A Biography of Audie Murphy (1989), Cowboys and Cadillacs: How Hollywood Looks at Texas (1983); and Kings of Texas: The 150-Year Saga of an American Ranching Empire (2003), which won the T.I.L. Carr P. Collins Prize for Best Nonfiction Book. 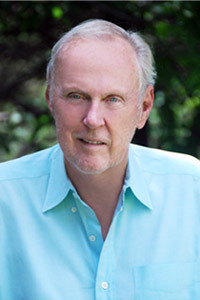 In 2005 Graham received the Best General Criticism Award from the City/Regional Magazine Association, for his literary columns in Texas Monthly. In 2006 he received the Chancellor’s Award for Outstanding Undergraduate Teaching at UT. In 2007 TCU Press published the anthology Literary Austin, which he edited. In 2008 Graham received the A.C. Greene Literary Award from the West Texas Book and Music Festival, and TCU Press published State Fare: An Irreverent Guide to Texas Movies. In 2011 he received the Tom Cable Award for Upper-division Teaching, and a collection of essays, State of Minds: Texas Culture and Its Discontents, was published by the University of Texas Press. In 2013 he received the Regents’ Outstanding Teaching Award, and his book on the Australian writer, Michael Wilding and the Fiction of Instant Experience: Short Stories, Novels, Memoirs, 1963-2012, was published. In 2014 he received an Alcalde Top Ten Professors Ever Award. Graham’s most recent book, Giant: Elizabeth Taylor, Rock Hudson, James Dean, Edna Ferber, and the Making of a Legendary American Film, appeared in 2016—his sixteenth book to date. He is currently working on number seventeen. Description: This course examines modern writing about the place where we live, Texas. We will begin with the history of this course and proceed to read J. Frank Dobie, Katherine Anne Porter, Larry McMurtry, Billie Lee Brammer, Tino Villanueva, Cormac McCarthy, and Philipp Meyer. We will look closely at the historical, geographical, and cultural backgrounds of each work. We will also see Giant, the national film of Texas, and Hud. Texts: Larry McMurtry, Horseman, Pass By; Cormac McCarthy, All the Pretty Horses; Billy Lee Brammer, The Gay Place; Tony Villanueva, Scene from the Movie Giant; Don Graham, Giant: Elizabeth Taylor, Rock Hudson, James Dean, Edna Ferber, and the Making of a Legendary American Film; and Philipp Meyer, The Son. Requirements & Grading: Two short explicative papers (20%); one longer paper (30%); and occasional announced reading quizzes—no makeups possible (30%). Poor attendance will result in lower grade. Description: In this course we will read important fiction and poetry from the late 19thcentury to as near the present as we can get in a summer course. Major movements in American Literature include Realism, Naturalism, and Modernism, and we will read major works in each of these categories. Texts: Packet of poems and short stories; Stephen Crane, Maggie, A Girl of the Streets; William Faulkner, As I Lay Dying. Requirements & Grading: two short explicative papers (15% each); occasional pop quizzes (30%); final exam (40%). Description: Although the assassination of President John F. Kennedy in Dallas on November 22, 1963 is one of the most thoroughly documented events in American history, the whole episode remains unsettled, the source of ongoing debate, unease, and a myriad of conspiracy theories. In this course, I propose to study that day in Dallas from three perspectives. First, we will try to establish a factual basis from a reading of James Swanson’s End of Days. The second part of the course will focus on fiction inspired by the assassination. We will read Edwin Shrake’s novel Strange Peaches, set in Dallas; and Don DeLillo’s Libra, a postmodern novel about Lee Harvey Oswald. Finally, we will take a look into the rabbit hole of conspiracy theories, which constitutes the “Fantasy” part of the course title. This will involve the reading of an additional book to be assigned. Requirements & Grading: There will be a writing assignment worth 30% and a longer research paper worth 60%. Class attendance & participation, including pop quizzes, 10 %. Numerous absences will result in a lower grade. Plus & minus grades will be assigned. There will also be an ungraded writing assignment as per the writing flag requirement. Description: Although the assassination of President John F. Kennedy in Dallas on November 22, 1963 is one of the most thoroughly documented events in American history, the whole episode remains unsettled, the source of ongoing debate, unease, and a myriad of conspiracy theories. In this course, I propose to study that day in Dallas from three perspectives. First, we will try to establish a factual basis from a reading of James Swanson’s End of Days. The second part of the course will focus on fiction inspired by the assassination: concentrating on Don Delillo’s Libra. Finally, we will take a look into the rabbit hole of conspiracy theories, which constitutes the “Fantasy” part of the course title. This will involve the reading of an additional novel to be assigned later. Description: Epics are traditionally narrative poems or prose fiction that tell of the founding of a nation or a civilization. Epics embody the cultural ideals of a specific place and set of beliefs and can range from Homer to Milton to modern authors. In this course Texas is the epic ground of the three works that we will study. We will begin with an epic film, Giant (1956), that dramatizes the clash between ranching and oil in the period 1925-1950. Giant also interrogates important aspects of gender and race during that period. Then we turn to Cormac McCarthy’s classic novel Blood Meridian or the Evening Redness in the West (1985), a dark, ultraviolent narrative focusing on the little-known history of scalp-hunters in northern Mexico in the aftermath of the U.S.-Mexico War (1846-48). Following that, we will conclude with Philipp Meyer’s The Son (2013), an ambitious epic novel about Texas, ranging from 1836 to 2012. Each of these works offers rich material for research papers—the heart of the course’s raison d’etre. Requirements & Grading: A short 1-page explicative paper on each of the three works (30%). For the longer paper (12-13 pages), the topic must be based on one of the three works, focusing on the relationship between history and fiction or some other topic—which in any event must be approved before undertaking the paper (60%). There will also be an ungraded paper as per the Writing Flag requirement. Attendance, pop quizzes, and participation are very important, and repeated absences will adversely affect the final grade (10%). Description: This course examines modern writing about the place where we live, Texas. We will begin with the storied history of this course and proceed to read J. Frank Dobie, Katherine Anne Porter, Larry McMurtry, Billie Lee Brammer, Tino Villaneuvo, Cormac McCarthy, and Philipp Meyer. We will look closely at the historical, geographical, and cultural backgrounds of each work. We will also see Giant, the national film of Texas, and perhaps one other film. Texts: Larry McMurtry, Horseman, Pass By; Cormac McCarthy, All the Pretty Horses; Billy Lee Brammer, The Gay Place; Tony Villanuevo, Scene from the Movie Giant; and Philipp Meyer, The Son. Requirements & Grading: Two short explicative papers (20%); one longer paper (31%); and a final (29%). Poor attendance will result in lower grade. Description: Epics are traditionally narrative poems or prose fiction that tell of the founding of a nation or a civilization. Epics embody the cultural ideals of a specific place and set of beliefs and can range from Homer to Milton to the authors we will be reading. We will begin with William Faulkner’s As I Lay Dying, a Modernist comic epic, then take up Cormac McCarthy’s Blood Meridian or the Evening Redness in the West (1985), a contemporary masterpiece that explores the concept of Manifest Destiny as revealed in the U.S. War with Mexico (1846-48) and its bloody aftermath. Following that, we will read Wallace Stegner’s Angle of Repose (1971), a novel based on the author Mary Hallock Foote’s adventures in the Far West in the 19th century. We will conclude with Philipp Meyer’s The Son (2013), an epic novel about Texas, ranging from 1836 to 2012. Students are also encouraged to see films such as The Wild Bunch, Red River, Giant, and The Searchers as ancillary works concerned with similar epic subject material. Requirements & Grading: Four short (1 page) explicative papers on two works plus a longer, fully researched paper (12 pages) based on subjects of interest to you and me. To put it simply, the focus is always the relationship between history and fiction. The short papers will count 30 percent and the longer one 50 percent. Attendance and participation are very important, and repeated absences will adversely affect the final grade. Description: This course examines modern writing about the place where we live, Texas. We will begin with the storied history of this course and proceed to read J. Frank Dobie, Katherine Anne Porter, Larry McMurtry, Don DeLillo, Cormac McCarthy, and Philipp Meyer. We will look closely at the historical, geographical, and cultural backgrounds of each work, along with the author’s biography. We will also see Giant, the national film of Texas, and perhaps one other film. Texts: Larry McMurtry, Horseman, Pass By; Cormac McCarthy, All the Pretty Horses; Billy Lee Brammer, The Gay Place; and Philipp Meyer, The Son. Requirements & Grading: First exam, 30%; essay, 20%; second exam, 40%; in class participation & attendance, 10%. This course will offer an intensive reading of selected novels by Cormac McCarthy, a native of Tennessee who wrote “Southern” novels before he moved to Texas and wrote ‘Western” novels. We will read works from both of those categories and seek to determine the trajectory of McCarthy’s writing and vision. We will begin with Child of God and Suttree (his goodbye-to-all-that novel), then move on to his masterpiece, Blood Meridian, Or the Evening Redness in the West, the work that critic Harold Bloom rates as the greatest American novel in the post-WWII era. With that work, we will spend a good deal of time exploring its historical sources and the gory but indisputable fact of the scalp hunters who blazed a bloody trail from Texas to California. Following that, we will study the first two novels of the Border Trilogy, All the Pretty Horses, McCarthy’s breakout novel, and The Crossing. We will end with No Country for Old Men, a Western noir made into a highly-regarded Coen Bros. film. Requirements & Grading: There will be a midterm and a final, and two or three short papers. Attendance is important and poor attendance can negatively affect the final grade. Description: Although the assassination of President John F. Kennedy in Dallas on November 22, 1963 is one of the most thoroughly documented events in American history, the whole episode remains unsettled, the source of ongoing debate, unease, and a myriad of conspiracy theories. In this course, I propose to study that day in Dallas from three perspectives. First, we will try to establish a factual basis from a reading of James Swanson’s End of Days. The second part of the course will focus on fiction inspired by the assassination: Don Delillo’s Libra and Adam Braver’s November 22, 1963, and probably one other title. Finally, we will take a look into the rabbit hole of conspiracy theories, which constitutes the “Fantasy” part of the course title. Requirements & Grading: There will be two writing assignment worth 15 and 15% (i.e., 30%) and a longer, closing research paper worth 50%. Class attendance & participation, including pop quizzes, 20 %. Description: This course examines modern writing about the place where we live, Texas. We will begin with the storied history of this course and proceed to read J. Frank Dobie, Katherine Anne Porter, Larry McMurtry, Don DeLillo, Cormac McCarthy, and Philipp Meyer. We will look closely at the historical, geographical, and cultural backgrounds of each work, along with the author’s biography. We will also see Giant, the national film of Texas, and The Three Burials of Melquiades Estrada. Description: Epics are traditionally narrative poems or prose fiction that tell of the founding of a nation or a civilization. The nation or civilization in this case is Texas. Epics embody the cultural ideals of a specific place and set of beliefs and can range from Homer to Milton to Whitman. We will begin with Cormac McCarthy’s Blood Meridian; or the Evening Redness in the West (1985), a contemporary masterpiece that explores the concept of Manifest Destiny as revealed in the U.S. War with Mexico (1846-48) and its bloody aftermath. Following that, we will read S. C. Gwynn’s Empire of the Summer Moon, a history of Cynthia Ann Parker’s captivity and the unfolding drama of the rise and fall of the Comanche nation in 19th century Texas, leading into survival in the 20th century. We will conclude with Philipp Meyer’s The Son (2013)—writtenby an alumnus of English 342: Life and Literature of the Southwest. This is the most recent epic novel about Texas, ranging from 1836 through 2012. Students are also encouraged to see films such as The Wild Bunch, Red River, Giant, and The Searchers as ancillary works concerned with similar epic subject material. Requirements & Grading: Two short (1 page) explicative papers on two works plus a longer, fully researched paper (12 pages) based on subjects laid out in detail by me. In other words, no free-lancing on topics. To put it simply, the focus is always the relationship between history and fiction. The short papers will count 30 percent and the longer one 50 percent. There will be a final on the last day (20 percent). Attendance and participation are very important, and repeated absences will adversely affect the final grade. This course will offer an intensive reading of selected novels by Cormac McCarthy, a native of Tennessee who wrote “Southern” novels before he moved to Texas and wrote ‘Western” novels. We will read works from both of those categories and seek to determine the trajectory of McCarthy’s writing and vision. We will begin with Outer Dark and Suttree (his goodbye-to-all-that novel), then move on to his masterpiece, Blood Meridian, Or the Evening Redness in the West, the work that critic Harold Bloom rates as the greatest American novel in the post-WWII era. With that work we will spend a good deal of time exploring its historical sources and the gory but indisputable fact of the scalp hunters who blazed a bloody trail from Texas to California. Following that, we will study the first two novels of the Border Trilogy, All the Pretty Horses, McCarthy’s breakout novel, and The Crossing. We will end with No Country for Old Men, a Western noir made into a highly regarded Coen Bros. film. Description: Epics are traditionally narrative poems or prose fiction that tell of the founding of a nation or a civilization. They embody the cultural ideals of a specific place and a set of beliefs and can range from Homer to Milton to Whitman. In this class we will examine three epic novels about Texas, a kind of nation state. Cormac McCarthy’s Blood Meridian; or the Evening Redness in the West explores the violent conditions in the Southwest following the close of the U.S.-Mexican War. James Carlos Blake’s In the Rogue Blood depicts that war (1846-48) in a McCarthesque manner. Philipp Meyer’s The Son (written by an alumnus of English 342: Life and Literature of the Southwest) dramatizes the immense changes occurring in Texas from the Indian Wars through the rise of oil, covering the years 1849 through 2012. We will also see a film or two, certainly Giant, which is a kind of domestic epic. Description: This course examines modern writing about the place where we live, Texas. We will begin with the storied history of this course and proceed to read J. Frank Dobie, Katherine Anne Porter, Larry McMurtry, Cormac McCarthy, and Philipp Meyer. We will look closely at the historical, geographical, and cultural backgrounds of each work, along with the author’s biography. We will also see Giant, the national film of Texas. Texts: Katherine Anne Porter, “The Grave”; Larry McMurtry, Horseman, Pass By and The Last Picture Show; Cormac McCarthy, No Country for Old Men; and Philipp Meyer, The Son. The films include Giant and Hud. There will also be a packet of mostly Don Graham writings—details on this later. Requirements & Grading: Attendance. Numerous absences will adversely affect your grade. In-class contribution: 10%. Two short papers: 1 for 20%; 1 for 30%; final: 40%. Description: Although the assassination of President John F. Kennedy in Dallas on November 22, 1963 is one of the most thoroughly documented events in American history, the whole episode remains unsettled, the source of ongoing debate, unease, and a myriad of conspiracy theories. In this course I propose to study that day in Dallas from three perspectives. First we will try to establish a factual basis from a reading of James Swanson’s End of Days. The second part of the course will focus on fiction inspired by the assassination: Don Delillo’s Libra, Adam Braver’s November 22, 1963, and probably one other title. Finally, we will take a look into the rabbit hole of conspiracy theories, which constitutes the “Fantasy” part of the course title. Requirements & Grading: There will be a writing assignment worth 30% and a longer, closing paper worth 60%. Class attendance & participation, including pop quizzes, 10 %. Only one of the following may be counted: E 342 (Topic: Life and Literature of Texas), 342 (Topic 2), 342T, MAS 374 (Topic 2: Life and Literature of the Southwest). Description: This course examines how Texas authors describe and explore the diversity and complexity of a state too often seen in terms of myth and caricature. To do so, we will read literature from across the state. Writers to be studied include Katherine Anne Porter, Larry McMurtry, Cormac McCarthy, Billy Lee Brammer, and Philipp Meyer. We will also see several Texas-based films. Description: Epics are traditionally narrative poems or prose fiction that tell of the founding of a nation or a civilization. They embody the cultural ideals of a specific place and set of beliefs and can range from Homer to Milton to Whitman. In this class we will examine three epic novels about Texas, a state, true, but also a kind of nation state. Cormac McCarthy’s Blood Meridian; or the Evening Redness in the West explores the concept of Manifest Destiny as revealed in the U.S. War with Mexico (1846-48) and its bloody aftermath. Larry McMurtry’s Lonesome Dove takes as its epic subject the era of cattle drives in post-Civil War Texas. Philipp Meyer’s The Son dramatizes the immense changes occurring in Texas from the Indian wars through the rise of oil, covering the years 1849 through 2012. We will also see films such as The Wild Bunch, The Searchers, and Giant as ancillary works concerned with the same themes as the novels. Requirements & Grading: There will be two or three short explicative papers and a longer, fully researched paper (11-12 pages) based on subjects arising from the texts. Grades will be based on the papers (40% on the short papers and 50% on the longer paper). Attendance and class attendance are important and will count 10%. Description: This course examines how Texas authors describe and explore the diversity and complexity of a state too often seen in terms of myth and caricature. To do so, we will read literature from across the state. Writers to be studied include Katherine Anne Porter, Larry McMurtry, Cormac McCarthy, and others. We will also see the film Giant. Texts: Larry McMurtry, Horseman, Pass By; Cormac McCarthy, All the Pretty Horses; Billy Lee Brammer, The Gay Place; Philipp Meyer, The Son; + Lone Star Literature: A Texas Anthology. Requirements & Grading: Mid-term, 40%; final, 50%; in class participation & attendance, 10%. Description: This course examines modern Texas as revealed through fiction. Topics include cattle, oil, love, death, and the Kennedy assassination. Texts: Larry McMurtry, Horseman, Pass By; Cormac McCarthy, No Country for Old Men; Bryan Woolley, November 22; Philipp Meyer, The Son; course packet, E 342: Life and Literature of Texas. Requirements & Grading: First exam, 30%; Second Exam 40%; Essay, 20%; In-class participation & attendance, 10%. Description: Although the assassination of President John F. Kennedy in Dallas on November 22, 1963—fifty years ago—is one of the most thoroughly documented events in American history, the whole episode remains unsettled, the source of ongoing debate, unease, and a myriad of conspiracy theories. In this course I propose to study that day in Dallas from three perspectives. First we will try to establish a factual basis from lectures and from student reports based on independent readings regarding different aspects of the event. The main part of the course will focus on fiction inspired by the assassination: Adam Braver’s November 22, 1963; Bryan Woolley’s November 22; and Don Delillo’s Libra. We will also read Norman James Swanson’s End of Days: The assassination of John F. Kennedy. Finally, we will take a look into the rabbit hole of conspiracy theories, which constitutes the “Fantasy” part of the course title. Requirements & Grading: There will be a writing assignment worth 30% and a longer, closing paper worth 60%. Class attendance & participation: 10 %. Description: This course examines how Texas authors describe and explore the diversity and complexity of a state too often seen in terms of myth and caricature. To do so, we will read literature from four traditions: Southern (East Texas), Western, Mexican-American, and Urban. Writers to be studied include Katherine Anne Porter, Larry McMurtry, Américo Paredes, Cormac McCarthy, and others. Texts: Larry McMurtry, Horseman, Pass By; Cormac McCarthy, All the Pretty Horses; Billy Lee Brammer, The Gay Place; Edwin Shrake, Strange Peaches; Américo Paredes, George Washington Gómez; Philipp Meyer, The Son. Requirements & Grading: Mid-term, 40%; final, 40%; Essay—10%; in class participation & attendance, 10%. Description: Although the assassination of President John F. Kennedy in Dallas on November 22, 1963 is one of the most thoroughly documented events in American history, the whole episode remains unsettled, the source of ongoing debate, unease, and a myriad of conspiracy theories. In this course I propose to study that day in Dallas from three perspectives. First we will try to establish a factual basis from a reading of Vincent Bugliosi’s Four Days in November followed by student reports based on independent readings regarding different phases of Lee Harvey Oswald’s life. The second part of the course will focus on fiction inspired by the assassination:, Don Delillo’s Libra, Adam Braver’s November 22, 1963, and probably one other title. We will also read Norman Mailer’s Oswald’s Tale. Finally, we will take a look into the rabbit hole of conspiracy theories, which constitutes the “Fantasy” part of the course title. Description: This course examines how Texas authors describe and explore the diversity and complexity of a state too often seen in terms of myth and caricature. To do so, we will read literature from across the state. Writers to be studied include Katherine Anne Porter, Larry McMurtry, Cormac McCarthy, and others. We will also see two or three key Texas films. Texts: Larry McMurtry, Horseman, Pass By and The Last Picture Show; Cormac McCarthy, All the Pretty Horses and No Country for Old Men; Adam Braver, November 22, 1963; Americo Paredes, George Washington Gomez. Texts: Larry McMurtry, Horseman, Pass By; Cormac McCarthy, All the Pretty Horses; Billy Lee Brammer, The Gay Place; Edwin Shrake, Strange Peaches; Américo Paredes, George Washington Gómez; Don Graham, ed., Lone Star Literature. Description: Although the assassination of President John F. Kennedy in Dallas on November 22, 1963 is one of the most thoroughly documented events in American history, the whole episode remains unsettled, the source of ongoing debate, unease, and a myriad of conspiracy theories. In this course I propose to study that day in Dallas from three perspectives. First we will try to establish a factual basis from a reading of Vincent Bugliosi’s Four Days in November followed by student reports based on independent readings regarding different phases of Lee Harvey Oswald’s life. The second part of the course will focus on fiction inspired by the assassination: Edwin Shrake’s Strange Peaches, Don Delillo’s Libra, and Adam Braver’s November 22, 1963. We will also read Norman Mailer’s Oswald’s Tale. Finally, we will take a look into the rabbit hole of conspiracy theories, which constitutes the “Fantasy” part of the course title. This course will also have an HRC component. The Don DeLillo Collection and the Norman Mailer Collection will be used in our study of the works by those authors. Edwin Shrake’s papers may also be consulted at Texas State University-San Marcos. I envision the course as a multi-layered investigation into how language and research are employed to create structures of factual as well as emotional truths or fictions. Beyond the borders of the second largest state in the Union, Texas writing is often mischaracterized in the same way that much else about the Lone Star State is. Here, for example, is a description of Southwestern & Texas writers that appeared in a mass-market paperback anthology from the 1980s: “Some were born among the sagebrush and the mesquite trees. Others traveled here from the soot choked cities of the East. But all write with their feet dusty from the mesas or with fingers greasy from chicken-fried steak.” A comment from a 1998 article in The Economist tells us that “Even educated Texans have often preferred insubstantial humour books and western pulp fiction to ‘highfalutin’ writing.” This course will set everything right by taking a close look at a significant literary tradition. We will read Katherine Anne Porter, J. Frank Dobie, Larry McMurtry, Cormac McCarthy, Américo Paredes, and a host of other writers who have made Texas their literary field of dreams. Requirements will include one essay—a site visit to a nearby literary place associated with a particular author—and a longer essay. Required texts: Don Graham, ed., Lone Star Literature: A Texas Anthology; Katherine Anne Porter, Pale Horse, Pale Rider; John Graves, Goodbye to a River; Larry McMurtry, Horseman, Pass By; Cormac McCarthy, Blood Meridian; or the Evening Redness in the West; Cormac McCarthy. No Country for Old Men; Américo Paredes, George Washington Gómez; Edwin Shrake, Strange Peaches; Adam Braver, November 22, 1963; Don Graham, State of Minds: Texas Culture & Its Discontents. Texts: Don Graham, ed., Lone Star Literature; Larry McMurtry, Horseman, Pass By; Cormac McCarthy, All the Pretty Horses, and No Country for Old Men; Adam Braver, November 22, 1963. E 379R (Topic: The Great War and Modern British Literature) and 379S (embedded topic: The Great War and Modern British Literature) may not both be counted. Description: The Great War as it is called in the UK—1914-1918—is a remote historical cataclysm largely unknown to many 21st century Americans. This course will seek to bring back to life the historical facts and trauma of that era that shaped the 20th century probably more profoundly than any other single set of events and circumstances. To do so, we will look at poetry of the period, especially the poems of Siegfried Sassoon and Wilfred Owen, but our main focus will be on three novels written during the last twenty years, each of which is an attempt to recover the lost world of the Great War. To that end we will read Pat Barker’s Regeneration, Sebastian Faulks’ Birdsong, and Sebastian Barry’s A Long Long Way. We will also see a film or two, and part of our focus will also be to try to understand what happened on the Somme in 1916. We are just two years away from the Centennial of World War I, and this course will put you way ahead of the rest of the population in knowledge and understanding. Requirements & Grading: Students will write two papers totaling sixteen pages of critical & historical analysis based primarily on the history of the Great War as revealed in Barker, Faulks, and Barry. Description: This course examines how Texas authors describe and explore the diversity and complexity of a state too often seen in terms of myth and caricature. To do so, we will read literature from four traditions: Southern (East Texas), Western, Mexican-American, and Urban. Writers to be studied include Katherine Anne Porter, Larry McMurtry, Américo Paredes, Cormac McCarthy, and others. We will also see three key Texas films. Texts: Don Graham, ed., Lone Star Literature; Larry McMurtry, Horseman, Pass By; Cormac McCarthy, No Country for Old Men; Adam Braver, November 22, 1963. Description: The Great War as it is called in the UK—1914-1918—is a remote historical cataclysm largely unknown to many 21st century Americans. This course will seek to bring back to life the historical facts and trauma of that era that shaped the 20th century probably more profoundly than any other single set of events and circumstances. To do so, we will look at poetry of the period, especially the poems of Siegfried Sassoon and Wilfred Owen, but our main focus will be on three novels written during the last twenty years, each of which is an attempt to recover the lost world of the Great War. To that end we will read Pat Barker’s Regeneration, Sebastian Faulks’ Birdsong, and Sebastian Barry’s A Long Long Way. We will also see a film or two, and part of our focus will also be to try to understand what happened on the Somme in 1916. We are just three years away from the Centennial of World War I, and this course will put you way ahead of the rest of the population in knowledge and understanding. Course Description: This is a course in regional literature, specifically writing set in Texas and written mostly but not exclusively by Texans. I divide the state into its own regions: the South (East Texas), the West (the arid lands), the Border (El Paso to Brownsville), and Town and City (where most people in Texas live). We will read stories, essays, parts of autobiographies and memoirs, and cuttings from novels by both major figures and relative unknowns. We will also read full-length works by Larry McMurtry, Cormac McCarthy, Billy Lee Brammer, and Adam Braver. What will emerge, I believe, is a full, rich portrait of Texas through literature and film. The course should be equally valuable to those not born and raised in Texas as well as those who have never lived anywhere else. We will also see three films: Hud , Giant, and The Three Burials of Melquiadas Estrada. Texts: Don Graham (ed. ), Lone Star Literature: A Texas Anthology; Larry McMurtry, Horseman, Pass By; Cormac McCarthy, All the Pretty Horses; Billy Lee Brammer, The Gay Place; Adam Braver, November 22, 1963; Cormac McCarthy, No Country for Old Men. Note: All films or film footage will be subject to examinations the same as written texts. All handouts are considered texts as well and therefore subject to exam questions. Grading: Two exams (50% and 29%) one essay (11 %) class participation including attendance (10%). Grades will be based on an A-F system, no pluses & minuses. Students with disabilities may request appropriate academic accommodation from the Division of Diversity and Community Engagement, Services for Students with Disabilities, 471-6259. Texts: Don Graham (ed. ), Lone Star Literature: A Texas Anthology; Larry McMurtry, Horseman, Pass By; Cormac McCarthy, All the Pretty Horses; Billy Lee Brammer, The Gay Place; Adam Braver, November 22, 1963; Cormac McCarthy, No Country for Old Men. Note: All films or film footage will be subject to examinations the same as written texts. All handouts are considered texts as well and therefore subject to exam questions. Grading: Two exams (50% and 29%) one essay (11 %) class participation including attendance (10%). Grades will be based on an A-F system, no pluses & minuses. Students with disabilities may request appropriate academic accommodation from the Division of Diversity and Community Engagement, Services for Students with Disabilities, 471-6259. Only one of the following may be counted: E 379M (Topic: British Literature of the Great War-England), 379R (Topic: The Great War and Modern British Literature), 379S (embedded topic: The Great War and Modern British Literature). Course Description: In England the Great War—1914-1918—is far more important in British consciousness than World War II. On one day alone, July 1, 1916, England suffered 60,000 casualties in attacks along the Somme, and the psychological damage—to British confidence, to the idea of Empire—was incalculable. Certainly the impact on novelists and poets was profound as well. To this end we will study some of the major texts arising from the war and its aftermath. Texts: We will read the most famous memoir of the war, Robert Graves’s Good-Bye To All That, as well as the poetry of Siegfrieg Sassoon, Wilfred Owen, and other war poets, several of whom perished on the Western Front. We will also read Virginia Woolf’s novel Mrs. Dalloway as a non-combatant post-war response. Finally, in the past fifteen years there has been a belated response to the Great War by novelists such as Pat Barker and Sebastian Faulks. We will read Barker’s Regeneration and Faulks’s Birdsong. There will also be a packet of readings relating to the War. Grading: Requirements include three papers totaling 16 pages. The first will be a critical essay of 6 pages, the second an historical essay of 4 pages, the third a combination of criticism and history of 6 pages, equaling a total of 16 pages. This writing constitutes 90% of the grade; the other 10% is based on class participation. Course Description: This course examines how Texas authors describe and explore the diversity and complexity of a state too often seen in terms of myth and caricature. To do so, we will read literature from four traditions: Southern (East Texas), Western, Mexican-American, and Urban. Writers to be studied include Katherine Anne Porter, Larry McMurtry, Américo Paredes, Cormac McCarthy, and others. We will also see three key Texas films. Texts: Don Graham, ed., Lone Star Literature; Larry McMurtry, Horseman, Pass By; Cormac McCarthy, No Country for Old Men; Billy Lee Brammer, The Gay Place; Adam Braver, November 22, 1963. Grading: Mid-term, 40%; final, 40%; Essay—10%; in class participation & attendance, 10%. Texts: We will read the poetry of Siegfried Sassoon, Wilfred Owen, and other war poets, several of whom perished on the Western Front. We will also read Vera Brittain’s memoir, Testament of Youth, a compelling story of a young woman’s experiences before and during the war. Then we will turn to the recent past, when there has been a renewed late twentieth-century response to the Great War by novelists such as Pat Barker and Sebastian Faulks. To this end we will read Barker’s Regeneration and Faulks’s Birdsong. Grading: Students will write two papers totaling sixteen pages of critical & historical analysis based primarily on the history and literature of the Somme. Prerequisites: Completion of at least ninety semester hours of coursework, including twelve semester hours of upper-division coursework in English or rhetoric and writing. Don Graham. Spring 2010. 12:30-2 TT Parlin 201. Office: Calhoun 306. Office hrs: 2-3 TT. Teaching Assistant: Colleen Eils. Office hrs: TBA. This is a course in regional literature, specifically writing set in Texas and written mostly but not exclusively by Texans. I divide the state into its own regions: the South (East Texas), the West (the arid lands), the Border (El Paso to Brownsville), and Town and City (where most people in Texas live). We will read stories, essays, parts of autobiographies and memoirs, and cuttings from novels by both major figures and relative unknowns. We will also read full-length works by Larry McMurtry, Cormac McCarthy, Billy Lee Brammer, and Adam Braver. What will emerge, I believe, is a full, rich portrait of Texas through literature and film. The course should be equally valuable to those not born and raised in Texas as well as those who have never lived anywhere else. We will also see three films: Hud, Giant, and The Three Burials of Melquiadas Estrada. Grades will be based on an A-F system, no pluses & minuses. Nine semester hours of course work in English or Rhetoric & Writing. Please note: Films and hand-outs carry full weight as texts. Grades will be based on the A-F scale, no pluses or minuses.